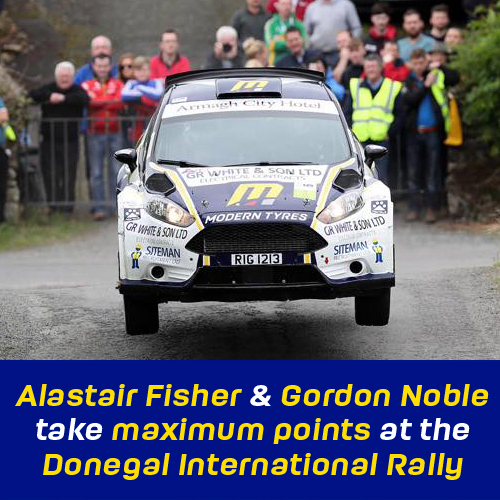 Alastair Fisher & Gordon Noble responded to their disappointing Rally of the Lakes result in the perfect way by taking maximum points on the Joule Donegal International Rally. A superb drive saw them net second place behind Manus Kelly after an event long battle with great rivals Sam Moffett & Karl Atkinson where there was little more than a handful of seconds between them for most of the rally. Only nine seconds separated the pair overnight but with conditions very wet on the first Fanad stage on Sunday morning, Sam wisely decided to prioritise a good points finish instead of risking everything over the remaining stages. 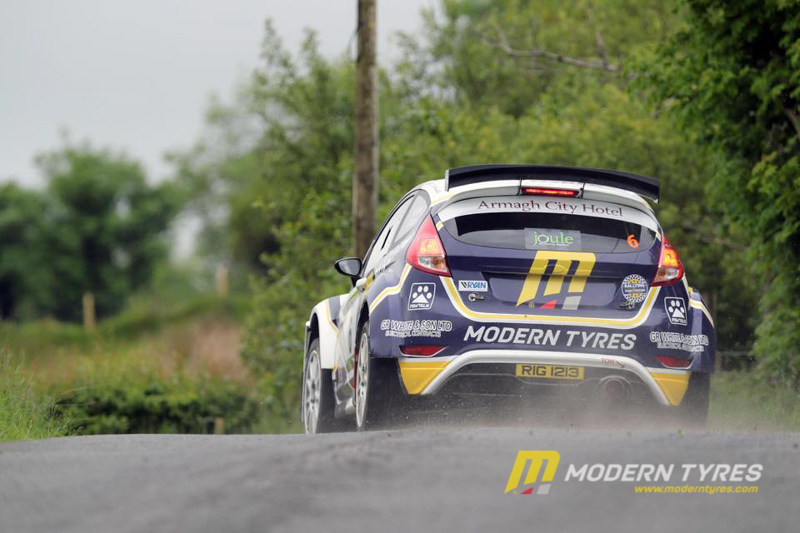 Josh Moffett moved into third place in the championship as he continued to build confidence after his Monaghan accident and would have been a lot closer to the leading pair only for a puncture on one of the Saturday stages. 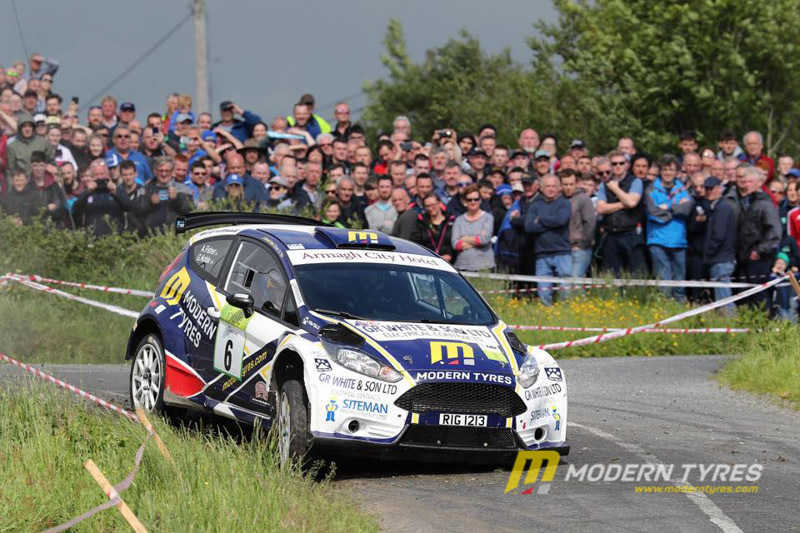 Robert Barrables championship hopes suffered a damaging blow as he crashed out of the event on the fifth stage at Letterleague on Friday. Aaron MacHale was another to finish in the scenery on Friday as the tremendous pace took its toll. Joe McGonigle went off the road on the opening stage and lost three minutes and spent the rest of the weekend climbing back up the field to 7th only to retire on the final loop with a broken driveshaft. 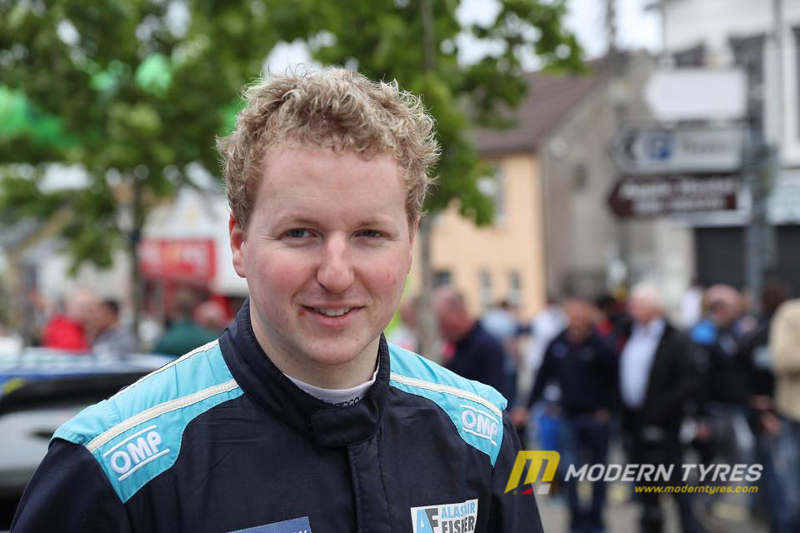 Pauric Duffy had one of his best international results to date finishing in sixth overall and earning ten championship points in the process. 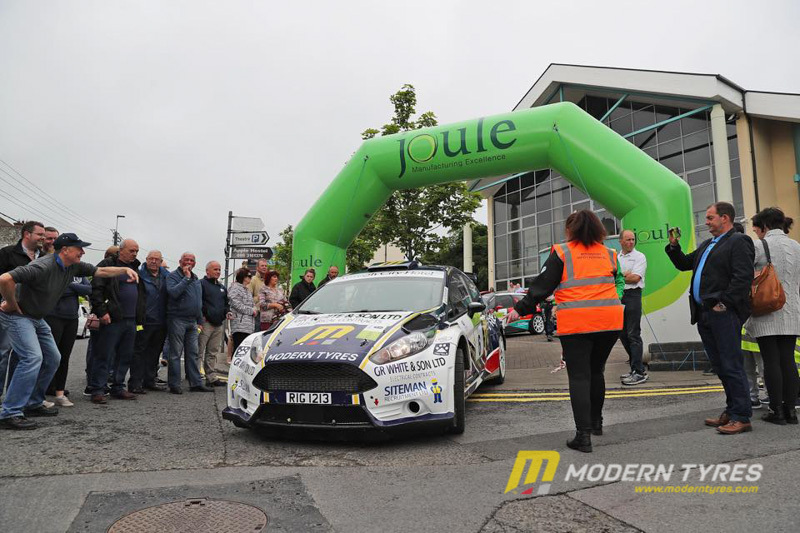 Marty Gallagher & Dean O’Sullivan finished an excellent ninth overall and were the top R2 registered finishers while John Mulholland finished 11th overall in his fabulous gold Skoda Fabia R5. John Coyne led class six in the Tuthill Porsche but wiper failure forced them out on the Sunday as conditions got very tricky. 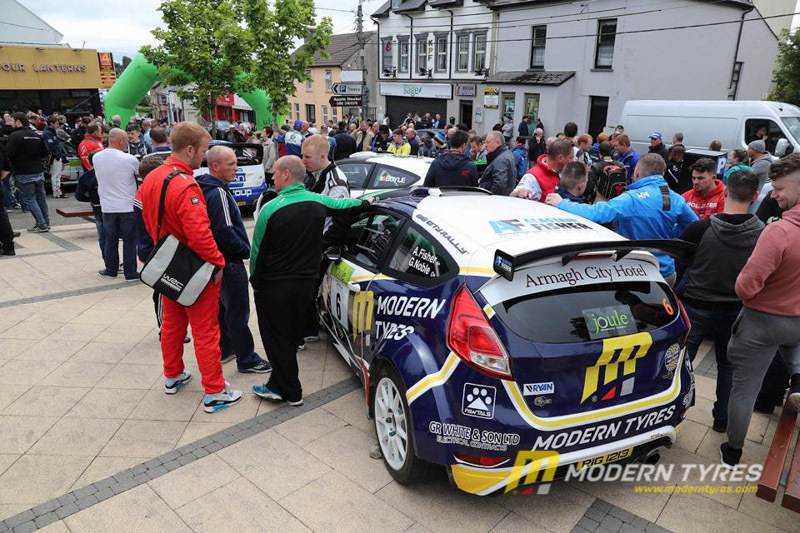 Gavin Kelly finished third in Group N but took maximum points for the category in the championship while William Creighton also gained valuable points in the R2 class. Joe Connolly was another registered competitor who failed to finish what was a very tough and demanding Donegal Rally.